The LEADTOOLS Camera Control is the latest in the LEADTOOLS SDK for Xamarin. It solves the glaring need in the Xamarin Forms community for a high-level control that developers can use to easily leverage mobile device cameras. Using the LEADTOOLS Camera Control requires no knowledge of the iOS and Android native camera APIs since LEADTOOLS takes care of all that for you. 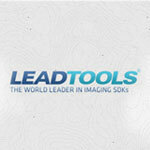 The LEADTOOLS Camera Control provides total control of the camera, including flash, focus, resolution and more. The first step is to retrieve a free 30-day evaluation license by registering at https://www.leadtools.com/downloads/nuget. Once you have a LEADTOOLS license, open Visual Studio 2017 and create a new project. Within the Visual C# tab, select Cross-Platform > Mobile App (Xamarin Forms). On the next page, select Blank and check Android and iOS for the Platform and Shared Project under Code Sharing Strategy. This will give you a starting template for the Xamarin.Forms application. To get started using Leadtools.Camera.Xamarin, you must add references to the appropriate NuGet packages. To modify NuGet packages for the entire solution, right-click the solution in Visual Studio and select Manage NuGet packages for Solution. The LEADTOOLS Camera Control is a Xamarin.Forms control that displays a live camera preview. Setting this up can be done in two lines of code. Open MainPage.xaml and add the following reference to the Leadtools.Camera.Xamarin assembly. Now replace the default auto-generated label within the StackLayout with the Xamarin CameraView, as well as a button that will be used to take the picture. Next, open MainPage.xaml.cs and add the following lines before InitializeComponent() to set the LEADTOOLS license that you received before and to initialize the assemblies that the LEADTOOLS Camera control requires. You must set your license or else the application will throw an exception at runtime. Now that the foundation of the app is set up, add code to read a barcode from an image taken using the Camera Control. Within the CameraView Class is an event called PictureReceived that is fired when an image is captured by calling ICamera.TakePicture(). The call to the TakePicture method will go in the button click event. Next, add code to the new ReadBarcodes function, which takes a RasterImage. LEADTOOLS is the most comprehensive barcode toolkit on the market and can detect and decode more than 100 linear and 2-dimensional barcode types in bitonal and color images. That is it! Now build and run the application on your device and read some barcodes! Leadtools.Camera.Xamarin provides Xamarin developers with a powerful high-level API to access and control mobile camera hardware without needing to know all of the idiosyncrasies associated with each native API. Need help getting this sample up and going? Contact our support team for free technical support via email or chat! How much does this control cost?